The Taiwan External Trade Development Council (Taitra), organisers of the annual Computex trade show, has announced that the regular pre-show International Press Conference will feature a keynote for the first time this year. 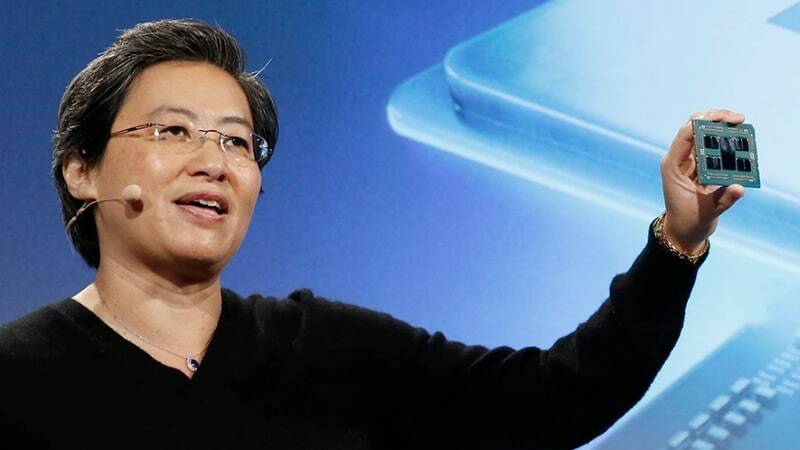 The keynote will be delivered by AMD CEO Dr Lisa Su, and according to the trade association’s announcement, the topic of the keynote will be “The Next Generation of High-Performance Computing”. This has prompted speculation that Su might announce or at least share details of the company’s upcoming Ryzen 2 3000 series CPUs, Radeon Navi GPUs, Epyc server CPUs, and possibly new Radeon Instinct data-centre accelerators. The press conference and keynote will be held on Monday, May 27, at 10:00am local time (7:30am IST). Computex 2019 show floors will be open to attendees from May 28 to June 1. Computex is the world’s biggest trade show for the PC hardware industry, and all major Chinese and Taiwanese component manufacturers usually participate. International companies also use Computex to announce major new components or products, and reaffirm their partnerships with local manufacturing and supply chain players. Traditionally, the pre-show International Press Conference has featured Taiwanese companies and has been a showcase of Taiwan-made products that have won design awards. For at least the past ten years, Intel has held a keynote on the first day of the show, though it usually follows several press conferences and private events held outside the main show venues. AMD has also addressed its own press conferences mid-show, and the company has not confirmed whether it will still do so. AMD has previously stated that it will begin a major rollout of products manufactured using its cutting-edge 7nm fabrication process over the course of this year, but previous indications were that next-gen Epyc server CPUs would be the first to ship. Previous rumours also suggested that AMD would choose the 7th of July (7/7) to announce its new hardware, with previews at Computex. News website TechPowerUp has stated that Su will launch or unveil at least four major new products, specifically in the Ryzen 3000 series, Radeon Navi, Epyc, and Radeon Instinct product lines, although no source is cited. Still, it is very likely that more details and specifics at least will be announced. At CES 2019 earlier this year, Su showed off a working prototype of an upcoming eight-core Ryzen 3000-series processor as it competed with Intel’s latest eight-core offering. Detailed specifications were not announced, but AMD could ship consumer CPUs with as many as 16 cores. The Ryzen 3000 series will feature AMD’s Zen 2 architecture in a configuration codenamed ‘Matisse’, using a new ‘chiplet’ style layout with separate dies for CPU cores and a central I/O module, all linked through the company’s Infinity Fabric interconnect. The Radeon Navi graphics architecture will succeed current Radeon Vega GPUs, but this was not expected to launch till much later this year. Even if AMD does take the opportunity to announce or demonstrate Navi-based hardware, it might not ship for a while. Other product lines that might be teased or previewed include the high-end Ryzen Threadripper CPU series, Ryzen Mobile and Ryzen ProCPUs, Radeon Pro graphics cards, and Radeon Instinct data-centre accelerators.